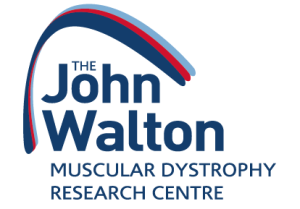 The Duchenne Research Fund, the Duchenne Children’s Trust and Joining Jack and are delighted with the news from the John Walton Muscular Dystrophy Research Centre that they have received £4.6 million in European funding for a Phase II clinical trial for Vamorolone – also known as VBP15 – an anti-inflammatory drug. The three foundations provided $1 million of funding for successful the Phase I study of VBP15. That funding enabled the project to successfully seek a further $12 million for Phase II, of which £4.6 million has come from the EU grant known as Horizon 20/20. We believe strongly in partnerships with academics and biotechs, and we leverage our investment to help bring in the really big money that is needed for Phase II clinical trials. And we continue to work with the VISION DMD consortium to give advice as patients and as advocates. We are on this journey with them – from the clinic all the way to marketing authorisation. One hundred boys across Europe will be enrolled into the study which is due to start in 2017. Read more about VBP15 here.